On the road to Lórien - What I said at #OkioConf14: "Open Government on its feet"
On the 21 and 22 February took place in Seville, at the Pablo de Olavide University, the #OKioconf14 – III Conference on Open Government and Open Data which were organized by Open Kratio. On Friday there were presentations and panel discussions with outstanding speakers, as the Open Government experts David Osimo, César Nicandro Cruz, Antoni Gutiérrez Rubí, Vicky Anderica, Antonio Díaz Méndez, Diego Álvarez… and also with innovative politicians, as Elena Biurrun or José Antonio Rodríguez, mayors of Torrelodones and Jun. I participated on Saturday, in the session on Open Government, representing the Symbiotic City Association and the citizens’ initiative Agenda del Henares. You can see my speech in the video above (it’s in Spanish, sorry. The part about the Agenda del Henares got English subtitles here). You can also access the Prezi presentation at the end of this post. 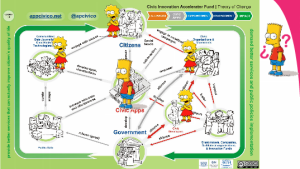 Presentation of the concepts of Open Data, Transparency and Accountability as essential components of… Open Government ? No!, of Real Democracy. If we do not consider Open Government to be part of a quest to achieve Real Democracy we miss its most important dimensions. 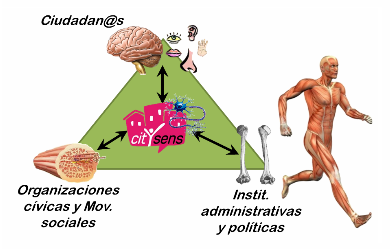 In Spain, for example, if we focus our energies on discussing about Open Data Repositories, we lose sight of the essential fact: that our democratic institutions are clearly dysfunctional; that instead of a “real-demo-cracy” what we have are “reali kratia” or “real powers”, extractive elites who maintain their privileges at the expense of the general interest; that the we are led by a mendacious, corrupt and hypocritical political class which does not really want to develop the potential of Open Government. The emphasis on the use “public data” as the main source of social change; I suggested that the most important data is not the one in government’s databases but data generated by citizens themselves. Civic apps and services should be developed with the “common-citizen” in mind. Most of them, however, are normally created for “odd” people or, even worse, for a kind of people that does not really exist. 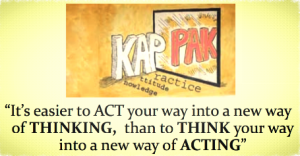 The commonly hold “logic of change”, that assumes civic change is the result of the following causation chain: “(change of) knowledge –> (change of) Attitudes –> (change of) Practices”. 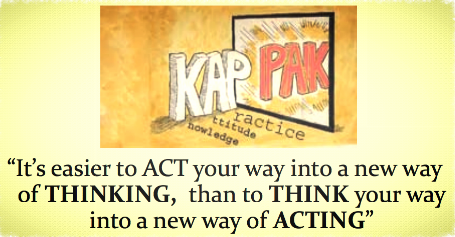 Fact is that we human being normally operate the opposite way: “It’s easier to ACT our way into a new way of THINKING, than to THINK our way into a new way of ACTING”. It is collaborative civic calendar which uses the software Demosphere. Get informed about what civic events will happen in my city in the following days. Receive automatic alerts by e-mail. Propose events to be published in the Agenda. 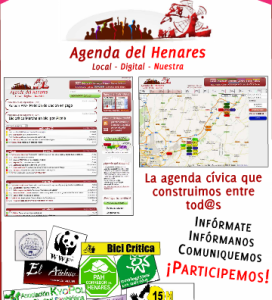 As a citizen group, become a member of the Agenda and use it with autonomy to inform about relevant events. Evolution of the project since it was started. Possibility to replicate the Agenda in other parts of Spain. CitYsens aims to be much more than an collaborative events’ calender: it will act as a kind of “civic nervous tissue” for the city, which connects citizens, citizen groups and political and administrative institutions with each other. CitYsens will include, among other things, information about organizations, citizen initiatives and campaigns, participatory processes and methodological orientation. It will also work as a “memory” of everything that happened in the city. To achieve this, it needs to integrate gamification and viral elements, and be constructed by means of a co-creation process where representatives of all its different user groups are fully involved. What we have achieved so far: we just completed a crowdfunding en goteo and… started the collaborative design.